I am extremely late with this wrap-up. So sorry! Busy weekend which also means I didn't get much reading done. I hope everyone enjoyed this year's High Summer! I'd like to thank everyone who participated and also the authors (and blogger) who generously donated prizes. Be watching for sign-ups in the next couple of months for FrightFall, September 29 through October 5. This scary event is a big hit every year. I'll be posting a save the date soon along with some other exciting events I have planned for Castle Macabre this Fall AND an exciting new long term reading challenge I have in the works. The FrightFall button is in the sidebar and I'll be adding a grab code soon. Be sure to add your wrap-up link below and please double check that you were signed up HERE so you will be eligible for the giveaway. You have until Tuesday, July 29 at 11:59pm CST to add your wrap-up link. I will draw giveaway winners on Wednesday (please note the new system of drawing winners in the giveaway details on the prize page). Good luck in the giveaway to all!!! And thanks again for joining me for the read-a-thon! I meant to post this yesterday, but real life reared its ugly head. You know how it is. So, how's it going for you this week? Please share any updates in the comments. You can leave a link so I can stop by or just tell us what you've accomplished in your comment. Have you checked out the prize page yet? We have a TON of prizes this time. I forgot to put a page link at the top of the blog for easy access. I'll do that now. I have an update on my reading over at my blog. You can read all about it HERE. This is the prize promotion page for all the prizes being given away for the read-a-thon. We have a ton of amazing book prizes donated from some very generous authors and bloggers! At the end of this post, you will find details regarding how the prizes will be awarded at the conclusion of the read-a-thon. Some of the most influential and interesting people in the world are fictional. Sherlock Holmes, Huck Finn, Pinocchio, Anna Karenina, Cinderella, and Superman, to name a few, may not have walked the Earth (or flown, in Superman's case), but they certainly stride into our lives. They influence us personally: as childhood friends, catalysts to our dreams, or even fantasy lovers. Peruvian author Mario Vargas Llosa, for one, confessed to a lifelong passion for Flaubert's Madame Bovary. Characters can change the world. Witness the impact of Solzhenitsyn's Ivan Denisovich, in exposing the conditions of the Soviet Gulag, or Harriet Beecher Stowe's Uncle Tom, in arousing anti-slavery feeling in America. Words such as quixotic, oedipal, and herculean show how fictional characters permeate our language. Although not of flesh and blood, fictional characters have a life and history of their own. The Fictional 100 ranks the most influential fictional persons in world literature and legend, ranging from Shakespeare's Hamlet  to Toni Morrison's Beloved . Each short, lively chapter traces a character’s origins, development, and varied incarnations in literature, art, music, and films. From the brash Hercules to the troubled Holden Caulfield, from the misguided schemes of Emma Woodhouse to the menacing plots of Medea, from Don Juan to Don Quixote, The Fictional 100 runs the gamut of heroes and villains, young and old, saints and sinners. It explores their deeper resonances and the diverse reasons for their enduring influence. 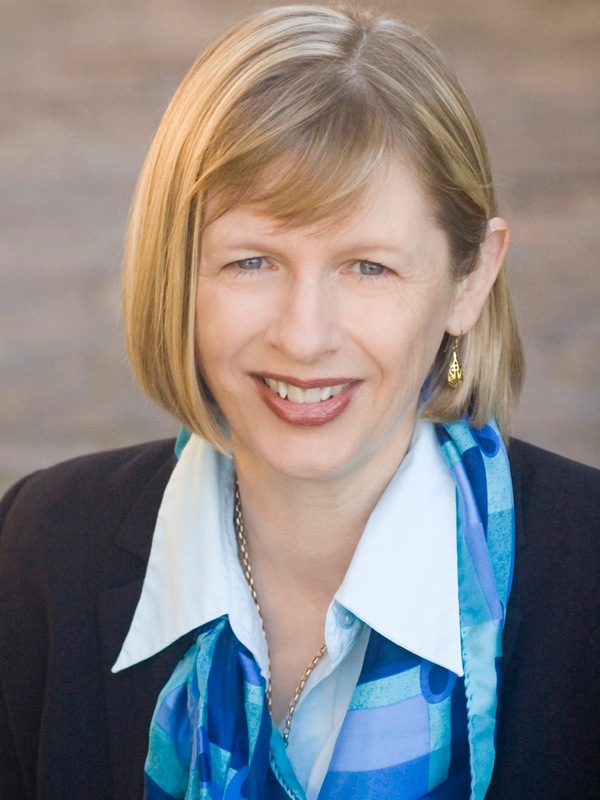 Lucy Pollard-Gott has a PhD in psychology from Princeton University, where she specialized in the psychology of the arts. She has published her studies in literature, including articles on the structure of fairy tales, the psychology of readers’ interactions with fictional characters, and the poetry of Wallace Stevens. She shares the latest news and reviews about the Fictional 100 characters at her blog, on Twitter, and on Facebook. She especially likes to read what others are writing about books they like, stories that move them, or characters who have changed their lives. In 406 BC, to seal a tenuous truce, the young Roman Caecilia is wedded to Vel Mastarna, an Etruscan nobleman from the city of Veii. The fledgling Republic lies only twelve miles across the Tiber from its neighbor, but the cities are from opposing worlds so different are their customs and beliefs. Leaving behind a righteous Rome, Caecilia is determined to remain true to Roman virtues while living among the sinful Etruscans. Instead she finds herself tempted by a hedonistic culture which offers pleasure and independence to women as well as an ancient religion that gives her a chance to delay her destiny. Yet Mastarna and his people also hold dark secrets and, as war looms, Caecilia discovers that Fate is not so easy to control and that she must finally choose where her allegiance lies. 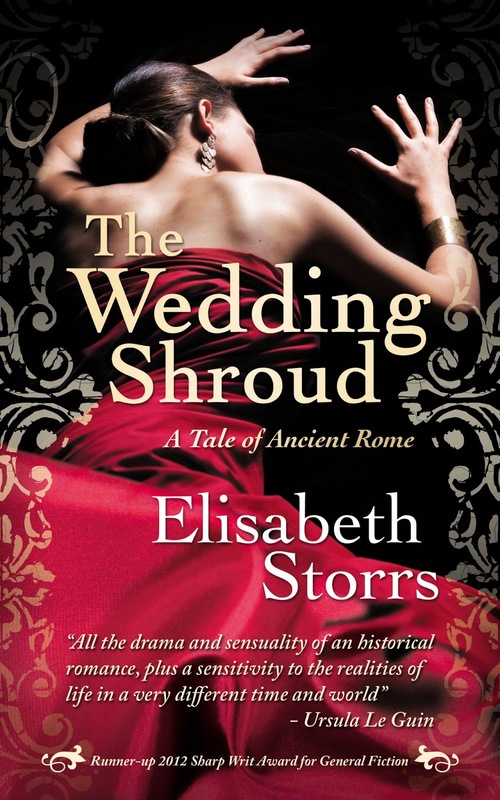 Exploring themes of sexuality, destiny versus self-determination and tolerance versus prejudice, The Wedding Shroud is historical fiction at its best which vividly brings Ancient Rome and Etruria to life while accenting the lives of women in ancient history. 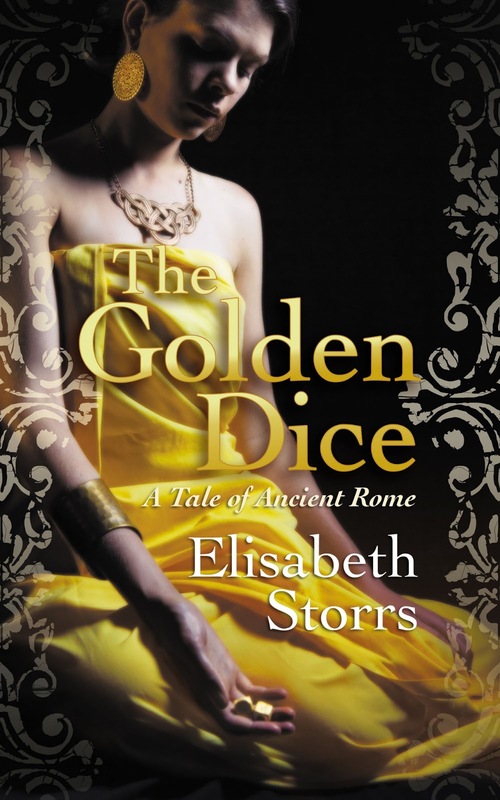 It is the first book in the Tales of Ancient Rome series and was judged runner-up in the 2012 Sharp Writ Books Award for general fiction and was a finalist in the 2013 Kindle Book Review Best Indie Book of the Year in literary fiction. Agricultural Economics respectively. 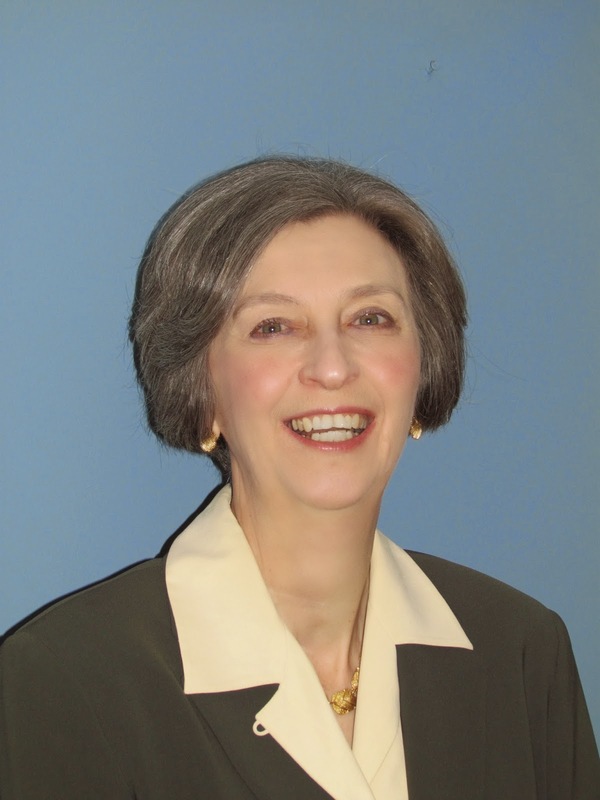 After college, she worked for USDA’s Economic Research Service and wrote for their Situation and Outlook Reports. She returned to her love for history and writing when, as sandwich generation mother caring for children and elderly parent, she came up with the idea of writing about history from different perspectives. 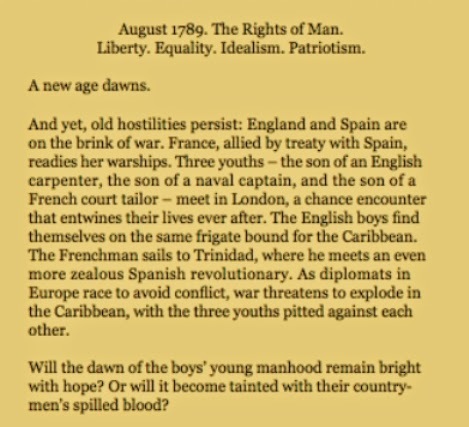 This was the start of A Tainted Dawn and the Great War (French Revolutionary and Napoleonic Wars) series. 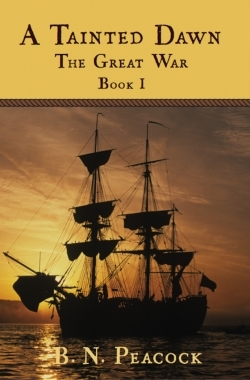 She lives in Manassas, Virginia, close to the Bull Run battlefield, with her husband and family, where she is working on Army of Citizens, the next book in the Great Wars series. CAN LOVE SAVE A SISTER FROM SELF-DESTRUCTION? From the USA Today Bestselling Author of Spare Change comes the heartwarming story Blueberry Hill, a Sister’s Story. Based on the realities of her own family, Crosby calls this a memoir of sorts. Traveling back to a time when the sisters were young enough to feel invincible and foolish enough to believe it would last forever, Crosby has bared her soul in a story of regrettable decisions and inevitable outcomes. Blueberry Hill is a tale of family relationships, love and tragedy. It is a story that will touch your heart and stay with you long after you have closed the book. Her published works to date are: Blueberry Hill (2014), Previously Loved Treasures (2014), Jubilee's Journey (2013), What Matters Most (2013), The Twelfth Child (2012), Cupid's Christmas (2012), Cracks in the Sidewalk (2011), Spare Change (2011), and Life in the Land of IS (2012). Life in the Land of IS is a memoir written for Lani Deauville, a woman the Guinness Book of Records lists as the world's longest living quadriplegic. Dark Blessings is a collection of stories that takes the reader down paths only author John Paul Allen could imagine...Sinister notes from a secret neighbor...a soul gets a second chance...a road trip to hell...a child with an unusual appetite...death cries on an answering machine...a child's reluctant salvation...and a closet lover with deadly intentions...A look beyond reason and sanity and into the mind of madness. 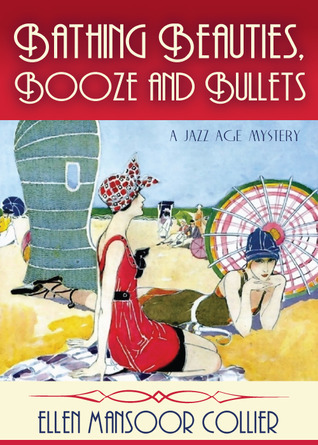 In 1930 Max Belote, a Dallas literary agent, heard the voice of Virago. “Tell her, just be good,” it whispered and he’d repeat before mutilating or killing his victim. Wanting to stop the evil entity inside him, Max ended his life. In 1970 convicted serial murderer Jeffrey Michael Roberts also heard the words, and until his execution he fulfilled its desires. In 2003 Virago spoke to Edward Paine, a high school teacher, who sought help to destroy the creature within. One soul, three lives, and the evil entity that commands them. - from the author of Dark Blessings, Monkey Love, Weeping Mary and House Guest, John Paul Allen shares his most frightening tale updated with extra chapters and more material. Death is not the end... It’s a brief interruption. When Professor Sandra Rixx lost her husband in a terrorist bombing, she turned toward her work for salvation. When Richard kept his vow and returned three years later, she learned to mix business with pleasure. Some times we can't help who we love. Sometimes we can't help what we love. Fresh Blood, Old Bones showcases the work of new and established writers in horror, fantasy, and science fiction (with bizarre thrown in for good measure). Enjoy eighteen tales as true masters of the genre (including Joe R. Lansdale, Nancy Collins, and Neal Barrett Jr.) combine their talents with stories from up-and-comers (including Tim Bryant, Monica J. O'Rourke, John Paul Allen, and many others) in this unique and exciting anthology. Dive into fourteen tales of non-themed horror, with short stories and dark poems by some of the best horror writers in the world, including the master himself, Graham Masterton. 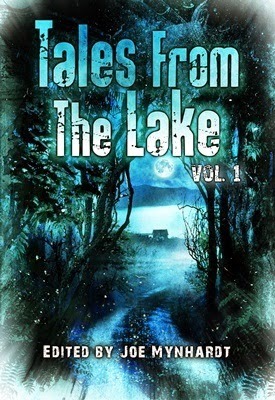 Allow the very first instalment of Tales From the Lake to transport you to lakeside terror in Lover, Come Back to Me, Lady of Lost Lake, and Game On; journey to the basement of your local pet store in Dead Pull and your neighbourhood pub in O’Halloran’s; visit the apocalypse in Devil’s Night; travel to Africa in Witch-Compass and The Reunion; spend time with the talking dolls in Don’t Look at Me; experience drug addiction from close up in Junksick; and climb a ladder to the heavens in Perrollo’s Ladder. Tales From the Lake Vol.1 includes the winning stories from the 2013 Tales From the Lake Horror Writing Competition: a nautical tale in Jenn Loring’s The Art of Wrecking; a bizarre story of strange addictions in J. Daniel Stone’s Alternative Muses; and a cult horror story in the jungles of South America in William Ritchey’s Las Maquinas. John Paul Allen refers to himself as a Semi-Complete Unknown. That said, his popularity seems to be growing. "It's all material." Allen says when asked where his ideas come from. "Life is the best source, and nothing is off limits." What He Writes: Stories without borders. 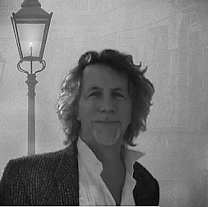 John Paul Allen is known for crossing lines and warns readers, "Nothing is off limits, if it edifies a story. If you want safe, there's a lot of that being offered. I expect my readers to go beyond the content, in order to enjoy the story." John Paul Allen is originally from Michigan, but served in the US Navy in Cuba and on board the USS Brownson, USS Wainwright, USS Frank Cable and USS Dewert. He's lived in Florida, South Carolina, Virginia, Texas and now Tennessee. He lives near Nashville where he spends his time with his girlfriend enjoying being Paw Paw to one-year-old Makenzie and his new born granddaughter, Zoe. (Kindle copies, one winner -- International) NOTE: THIS IS A TWO BOOK PRIZE! 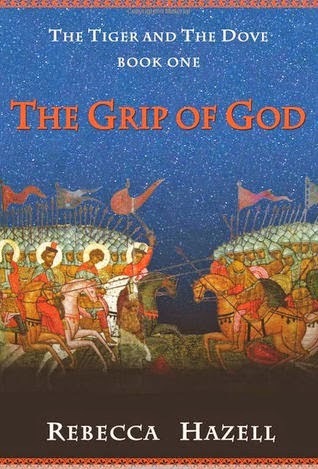 The Grip of God is the first novel in an epic historical trilogy, The Tiger and the Dove. 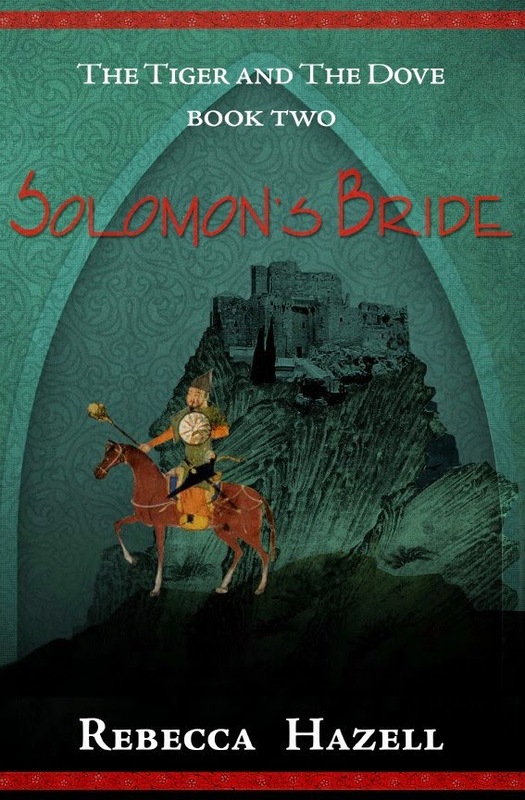 The saga’s heroine, Sofia, is a young princess of Kievan Rus who recounts her capture in battle and life of slavery to a young army captain in the Mongol hordes that are flooding Europe. Not only is her life shattered, it is haunted by a prophecy that catalyzes bitter rivalries in her new master's powerful family and shadowed by the leader of the Mongol invasion, Genghis Khan's grandson. How will she learn to survive in a world of total war, much less rediscover the love she once took for granted? Always seeking to escape and menaced by outer enemies and inner turmoil, where can she find safe haven even if she can break free? Clear eyed and intelligent, Sofia refuses to believe that life is solely about the strong dominating the weak or about taking endless revenge. 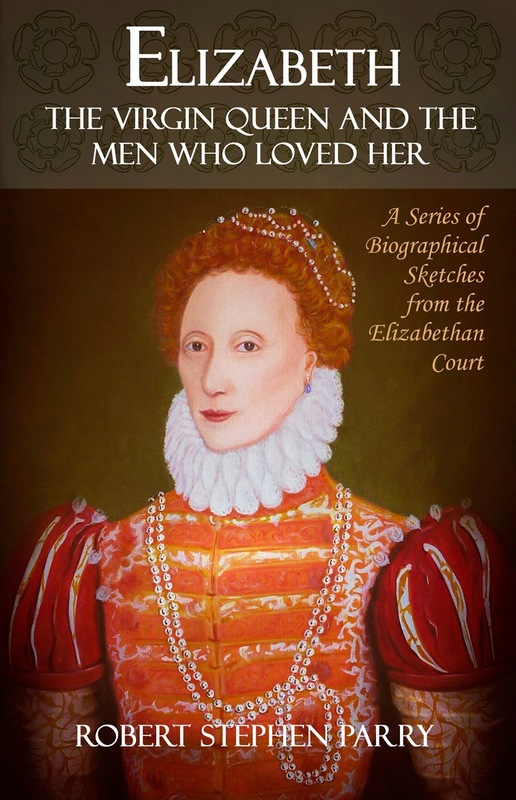 Her story is based on actual historical events, which determine much of her destiny. But as she matures, she learns to reflect on her times--and to transcend their fetters. In doing so, she recreates a lost era for us, her readers. Readers will delight in this very personal and engaging tale from a time that set the stage for many of the conflicts of today's world. Over the years Ben and Ellie never had a problem communicating. So when Ben seems distant, Ellie's confused. Her instinct tells her it has something to do with the contents of an old cardboard box his father insisted Ben take before he passed away. With the children grown, Ben's evasiveness adds to Ellie wishing the holidays were over. But it's Christmas-the season of hope and love rekindled-especially when going back to a wondrous place on a winter's night in the old sleigh decorated in pine boughs and silver bells-the very sleigh that carried a little boy and that cardboard box on a Christmas Eve journey so long ago. Barbara Briggs Ward grew up in the country surrounded by relatives and a backdrop made for inspiring a young imagination. Barbara and her cousins were constantly playing in their chicken coop clubhouse filled with the remains of an abandoned one-room schoolhouse. It was in that clubhouse where Barbara read her favorite authors including Louisa May Alcott and Laura Ingalls Wilder - and began writing her own little stories. When her grandfather made her "most favorite Christmas present ever" - a simple pine desk with a single drawer which held a pad of lined paper and a #2 pencil - Barbara knew she wanted to be a writer. 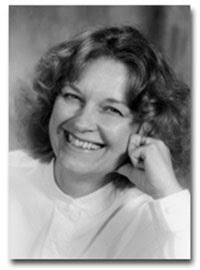 Barbara began writing for children, having been published in Highlights for Children andwww.storiesforchildrenmagazine.org. She is the author/illustrator of the Snarly Sally picture book series. Barbara's writing took a turn in October, 2010 when she published, "The Reindeer Keeper", a heartwarming story of Family & Christmas chosen by both Yahoo's Christmas Book Club Group and Yonker's Riverfront Library Book Club as their 2012 December Book of the month. Barbara's story, "In Anticipation of Doll Beds" was published in the Chicken Soup for the Soul book, "Christmas Magic" October, 2010. In March, 2012 her short story, "A Brown Boy of Our Own" was included in the Chicken Soup for the Soul book, "Family Caregivers." In October, 2012, Barbara released her first work of Amish fiction, "A Robin's Snow" on Kindle. 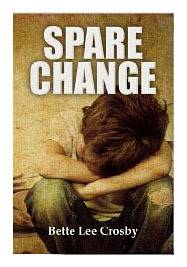 The book was recommended reading by Amazon September, 2013. 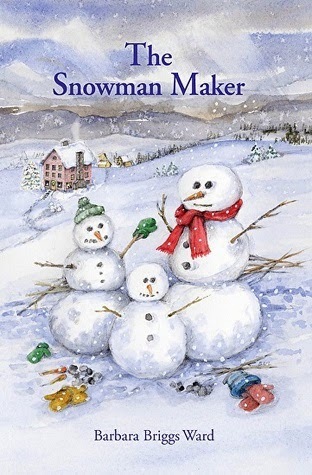 Barbara's second work of Christmas fiction, "The Snowman Maker," was released October, 2013. June, 2014: Short story, "The Great Berry Pie Cook-Off" featured as a First Friday Fiction piece on TheSaturday Evening Post website. Visit Barbara at her WEBSITE. Kristen is an Elementary School Library Media Specialist in the Chicago suburbs who loves reading. Why else would she be a librarian? Kristen’s library services over 900 students from Early Childhood to 5th grade. She has a lovely husband who also enjoys reading. She mainly reads Young Adult and Middle Grade fantasy, science fiction, historical fiction and (sometimes) contemporary realistic fiction. This is a read-a-thon participant only giveaway. 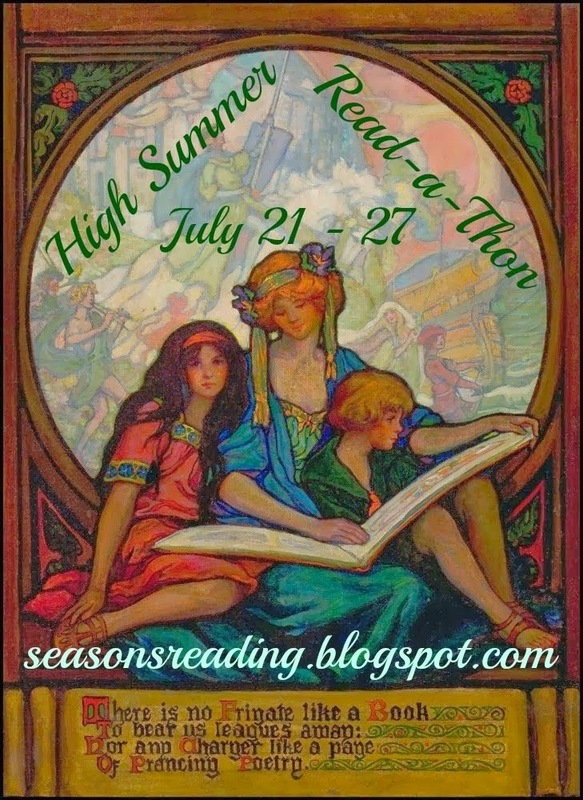 To be eligible, you must have signed up, participated and completed a wrap-up post at the end and link it here at Seasons of Reading at the official read-a-thon wrap-up post (I will give everyone until Tuesday (7/29) at 11:59pm CST to complete their wrap-up posts). We have a total of 27 prizes. This means there will be 27 winners. I'm going to do things a bit differently this time and this is only because it takes so long the way I was doing it previously. I'm going to award prizes as they do during Dewey's Read-a-Thon. That means first come, first served. I will draw the 27 winners with random.org and email all 27 at the same time. The first person who emails me back with their choice gets that prize. I will mark off the prizes as they are taken. All eBook prizes will be sent to winner via email so please specify what format you require in your email. Winners will be chosen after the wrap-up post deadline (see above). It's time to start the read-a-thon. Yay! I hope everyone is ready to get their read on. I know I am. Just hoping I can find the time this week. You guys are not going to believe how many prizes I have this time! It was amazing how many authors and bloggers offered donations. Thank you so much to all of them. The prize page will be up by Tuesday at the latest so stay tuned. I want to do one Twitter chat this time, instead of three. I know that I will have to schedule it at night, probably after 7:00pm central time. Please let me know in the comments what night of the week and time would work for you. I will go with the majority out of who votes in the comments. I think that about covers it. 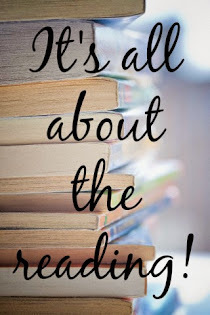 Enjoy the week and Happy Reading! Wow! Time really got away from me. Only two weeks until the read-a-thon starts. So sorry for the delay in posting the sign-ups. I'm not going to go into much detail here, as I've streamlined things by adding a "Guidelines" tab at the top of the blog. Any information you need about the read-a-thon you can find there. Dates are Monday, July 21 at 12:00am CST through Sunday, July 27 at 11:59pm CST. We will probably only have one Twitter chat this time. I will announce the date and time in the starting post. Also, check the guidelines because I've made changes regarding signing up and the starting line. Our Twitter hashtag is #HSreadathon (sorry about the earlier mistake with the hashtag. This is the correct one).